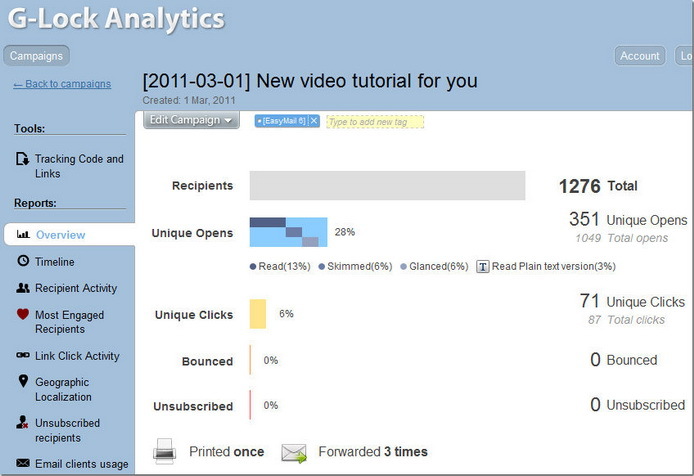 Email tracking reports are presented in the textual and graphical format. 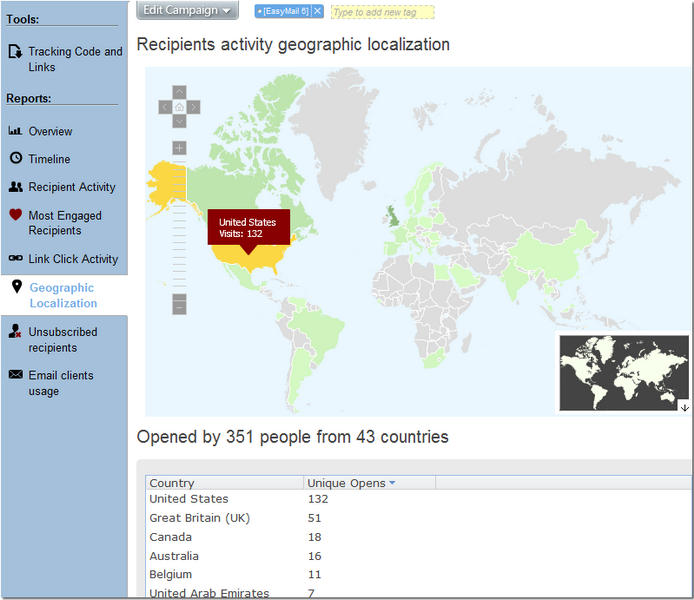 You can also view the geographical localization of unique opens of your email message. If you send your mass emails using our email marketing software G-Lock EasyMail7, you can save your time for adding a campaign to your G-Lock Analytics account and inserting tracking links into your email message. 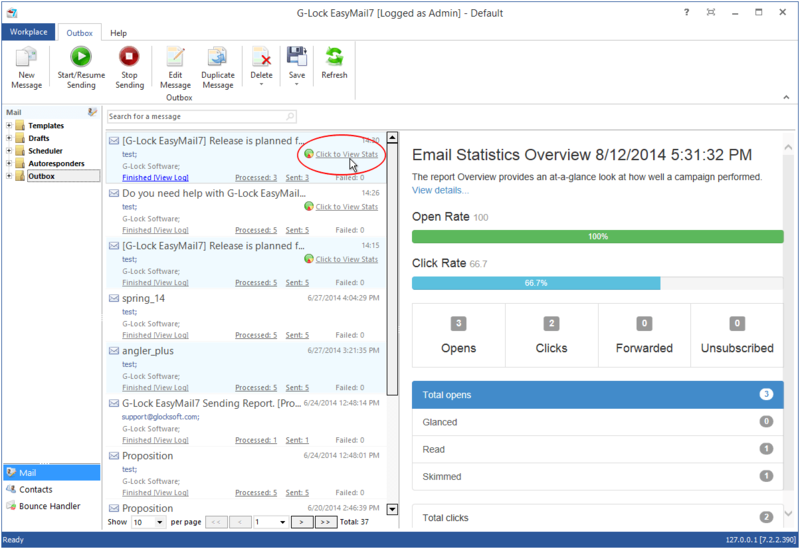 you can view your email blast tracking statistics overview directly in G-Lock EasyMail7. Our company is using G-Lock Analytics for some time and are satisfied by all this features gathered by this awesome tool!